The glorious A.I.M. helmets were created by Mark (@dirtylash) and it was a combination of ideas from Rob (@refgemlin) and I to don the holiday outfit and suits. 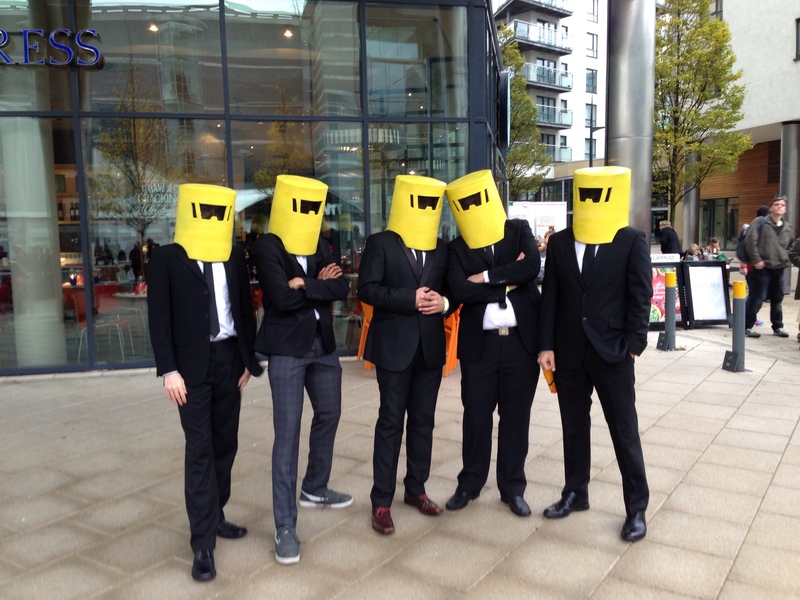 In an issue of Hickman’s Avengers, the scientists attended a casino dressed in black tie but with their distinctive yellow helmets. It was so humorous that we had to re-enact the event, but with the added adventure of scientists on a beach holiday. On the whole we were well received and even scared a few children on the way. 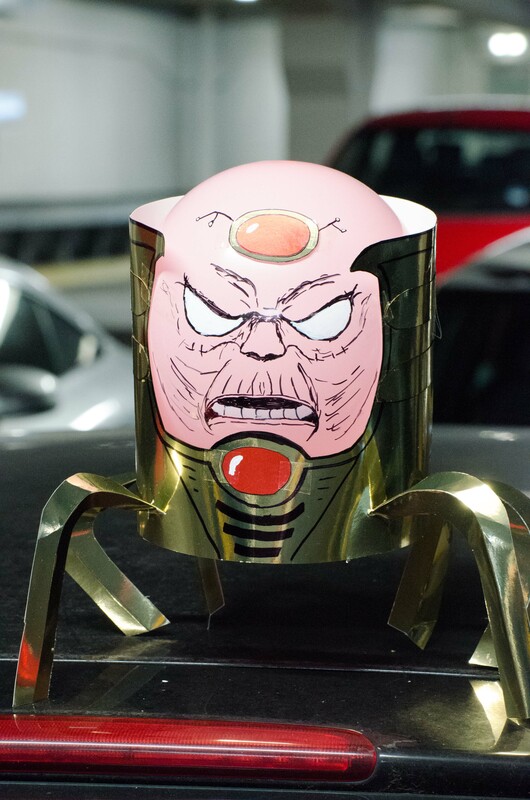 I was really pleased with the reception of my Modok, even garnering praise from Ales Kot who is currently writing him in Secret Avengers. 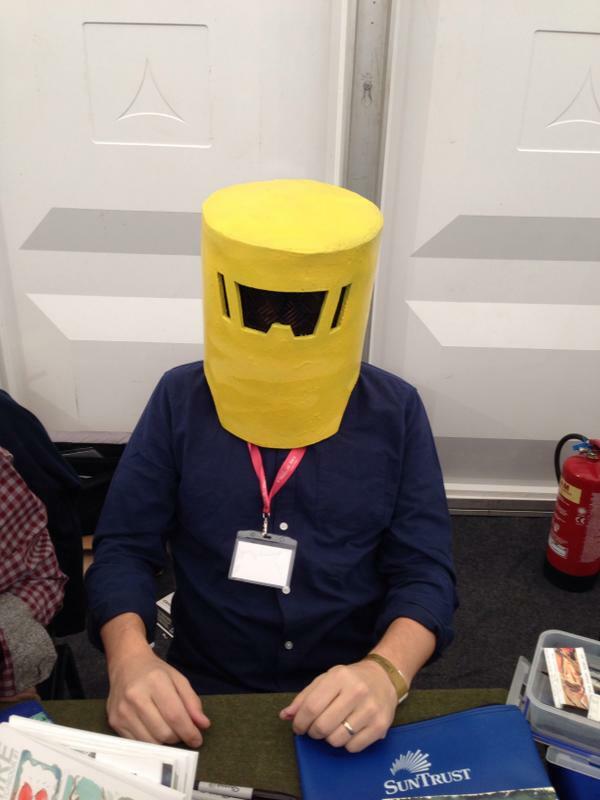 We even had Jeff Lemire wear the helmet for a photo, that is how popular they were. In reality though they were difficult to walk around in because it was impossible to turn your head or look down because they covered the shoulders. After almost falling traversing some stairs, we ended up using them as carry cases for our comics. In any case with photos like these, we were giddy with the success! This year they had set up a marquee tepee in addition to the Royal Armouries and New Dock halls, in a bid to spread out the bigger names and dilute the queues. Unfortunately there were still lines of people outside trying to get to see Scott Snyder, Jock and Charlie Adlard. So we wondered around checking the layout and meeting people along the way, friends and artists. 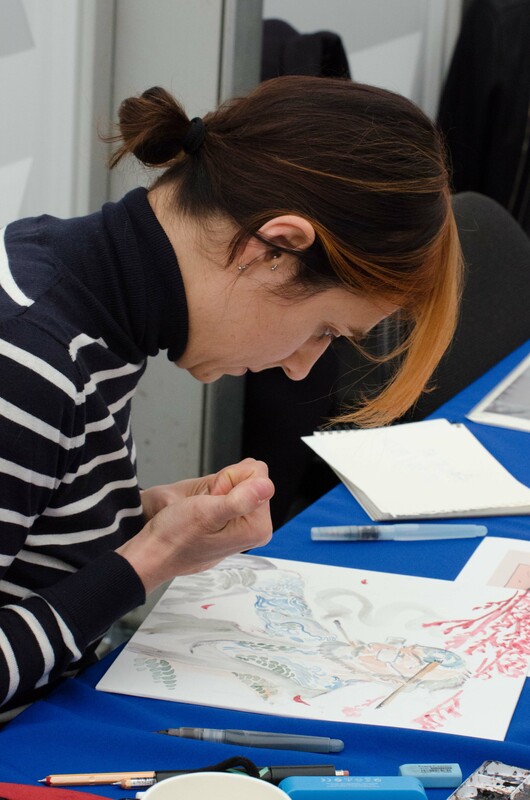 I was really pleased to see Vanesa Del Ray so I could tell her how much I adored her artwork and wanted to see more of it. 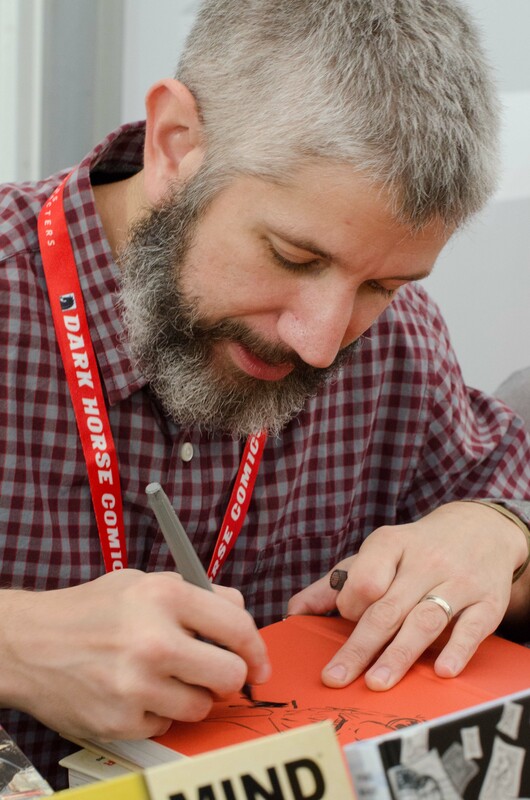 Jeff Stokley described how Simon Spurrier guided him through the crazy concept of Six Gun Gorilla to produce such a fantastic comic. 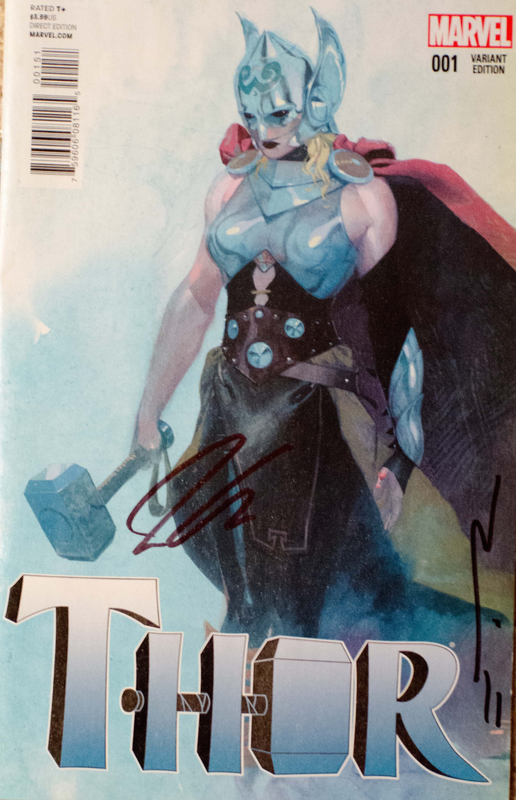 I hadn’t even realised Esad Ribic was attending and so was really pleased to get his final Thor issue signed, together with his variant cover Thor #1! He smiled thankfully as I told him how much he would be missed off that book, and how it was the most amazing art I have seen in recent times. Stephen Mooney was also signing in the New Dock Hall. 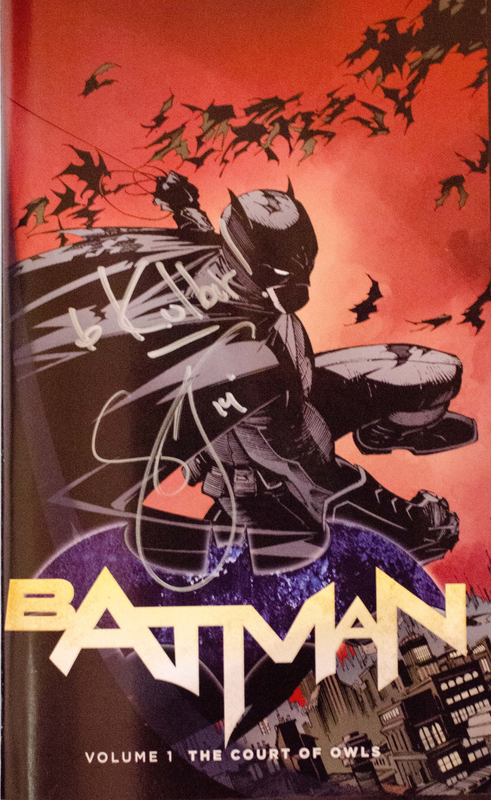 I then got my Grayson #1 signed which was sent to me by @WillPheesh, who had it signed by Tom King at a con in the US, as a gift for me! The circle was now complete and I was very happy to see Stephen getting more and more work. He also mentioned that the Half Past Danger sequel was well into the pipeline which is definitely something to look forward to. 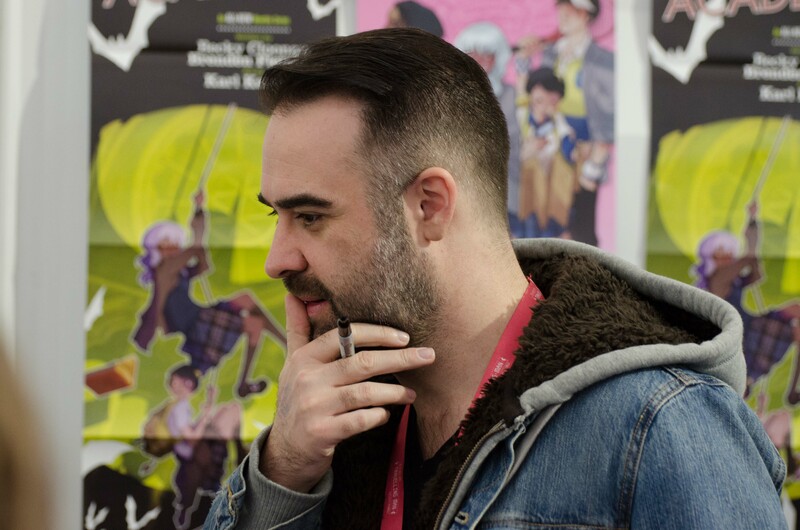 As Keiron Gillen declared to us all that he was going to the bathroom, I took the opportunity to speak to Jamie McKelvie. As I threw plaudits his way regarding Wicked + Divine, I was surprised to find that his minimalist approach to drawing expressions is a purposeful tactic. I also highlighted how Matt Wilson has become so essential to the book and has been flying high this past year. 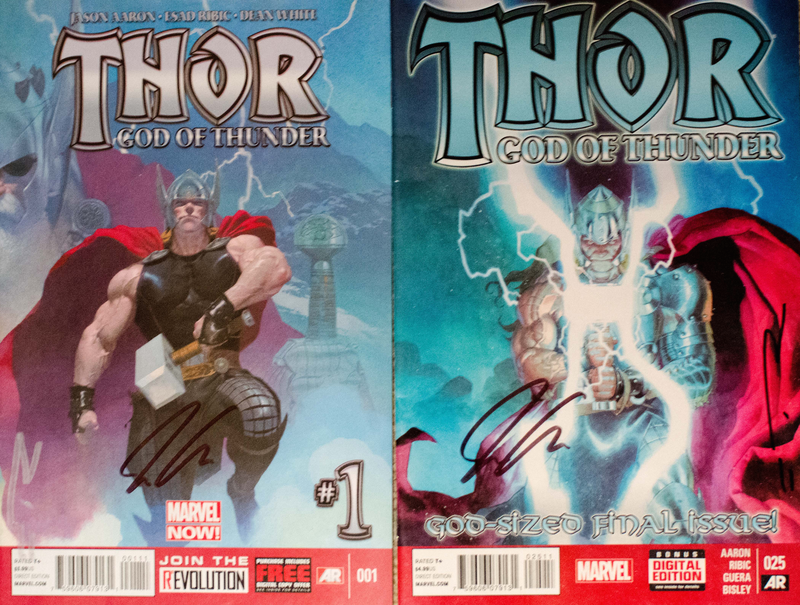 Unfortunately it was a shame he was not in attendance, but I still got Jamie to sign all of his covers, because I adore them so much. Matteo Scalera had a quieter convention in comparison as I didn’t even see him on the Saturday and he was catching up with his commissions on Sunday. In fact he was only signing at 1630 on the Sunday. I said hello to him and thanked him for the joy of Dead Body Road and Black Science but I cannot help but wonder if he missed a trick. 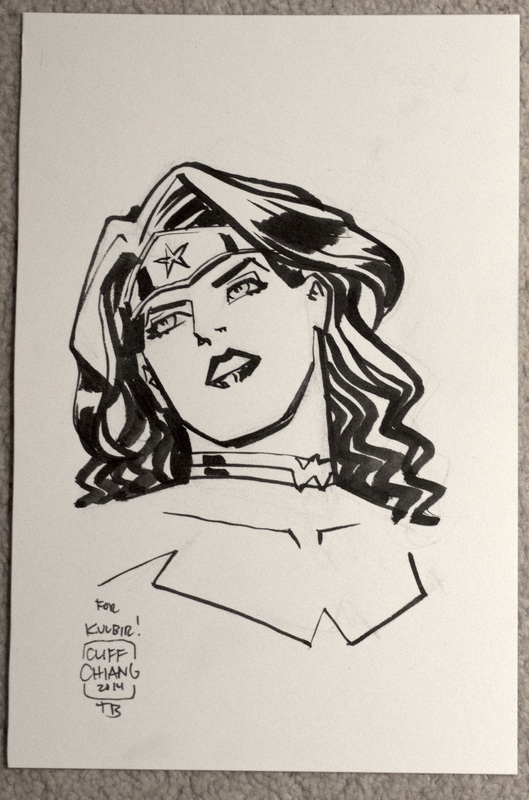 However the pre con commissions he was creating were just fantastic. It is amazing who you can meet and the conversations to be had at a whim. Being organised is one thing but you must make sure you take your opportunities as they present themselves. This is also the case when talking to creators, the following people are ones that I spent a lot longer talking to and subsequently irritating the fans waiting behind me. For that I can only apologise! I have always wanted to ask Al how he took on the role of an all Afro-American bunch of superheroes, and as a Brit, how did he attempt to tackle a racial minority. He mentioned that he had a list of heroes he wanted to write and was given some freedom to experiment. He devoted some attention to detail and pays homage to the character’s backgrounds, being as faithful as possible to their personalities. He quite enjoyed writing Blue Marvel and is loving the current incarnation of his book even though Captain America and the Mighty Avengers was not a book he had planned in advance. Marvel have not tied his hands and have allowed him to run free with some of his wilder ideas. Apparently adding in Sam Wilson didn’t affect the Mighty Avengers book too much and only requires one additional scene to continue his own story. The turning of his heroes to the dark side is an idea he really enjoying writing and I am quite pleased at his continued success. I imagine Brian Wood took a similar approach to writing the all female X-Men title. I had to return to Declan’s desk a couple of time because his queues were quite long, to my great satisfaction. Since speaking to him last year about the oncoming Moon Knight and his excitement of it, I am in awe of the work he produced. 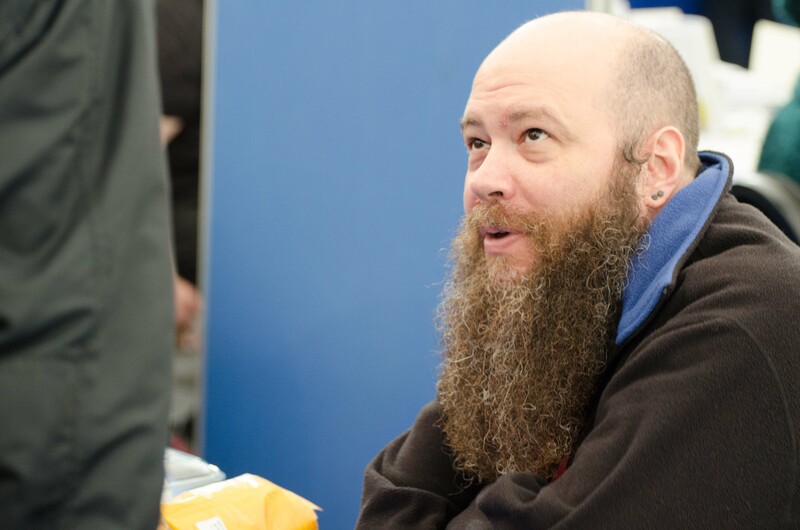 I asked him what it was like to partner Warren Ellis, and he stated that he always knew where he stood. It seems like Ellis does not suffer fools as he states quite succinctly what he wants but allowed certain freedoms to the artwork. Declan showed me an example from issue one where Warren had the specific idea of descending a ladder through layers of the underground. But it was Declan who developed this on the pages before, where he chose a perspective from above, watching as Moon Knight enters the manhole from the limo. It sounded like Declan had a large degree of creative freedom and Mr Ellis was very pleased with his work. In fact Shalvey has been taken by Warren to join an independent project for Image comics, so both writer and artist are very happy. That book is called Injection. The artist was in complete agreement as I described Moon Knight as Declan Shalvey’s magnum opus. Everyone should read this book and that is all I have to say about the matter. Next. Jeff’s queue was surprisingly short, but I think that was because so many queues seem to intersect at that juncture, and we just managed to take a shortcut. 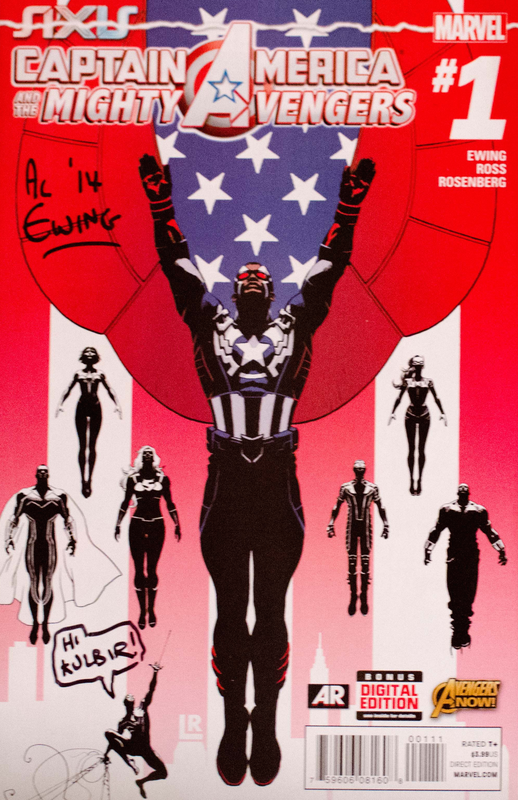 Lemire was a little on the reserved side, but pleasant nonetheless, especially considering he wore one of out A.I.M. helmets! 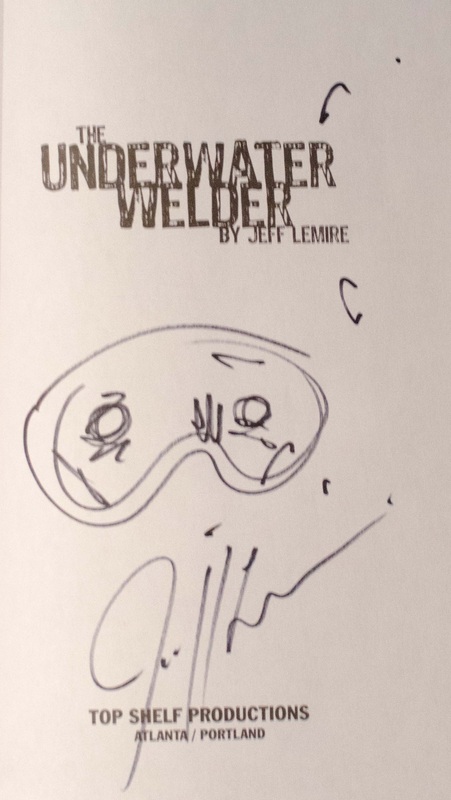 I asked him about The Underwater Welder and his inspiration for it: His brother had a friend learning about the vocation and Jeff found it intriguing. Couple that with his wife expecting a child and you have a book about a man that spends his time underwater with major father-son issues. 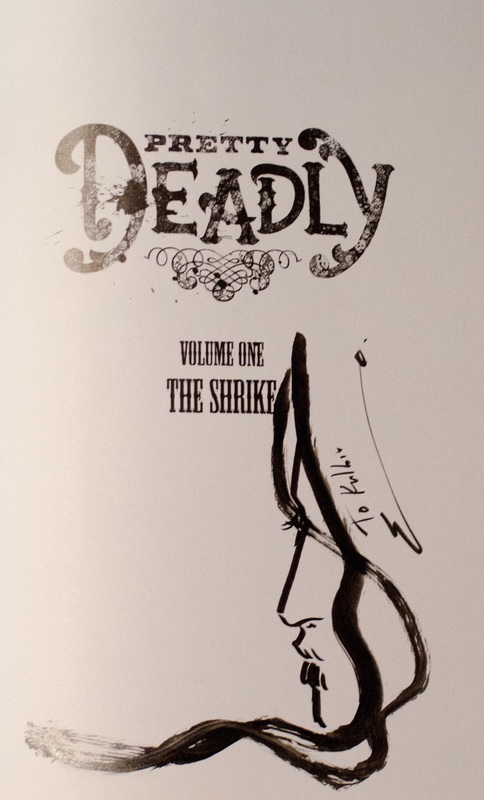 I also asked about his love of drawing and he relayed that he always wants to pencil his own books, but in writing multiple books he just does not have the time. 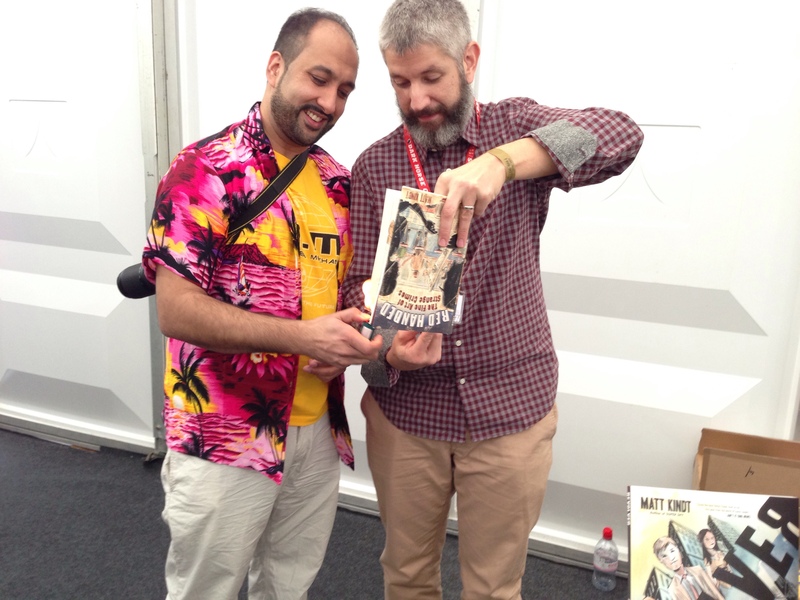 He passed me a preview of his new independent book with Matt Kindt and Paolo Rivera called The Valiant, and it looks quite impressive! planned and he has been quite happy with its progress. I also asked about Southern Bastards and how realistic it, given how we in the UK have little else to relate it to. He said that it is a concise and compact version of lives in the Deep South, but you have to accept a layer of dramatisation for storytelling purposes. Ironically his female partner/colleague sitting behind him just nodded in agreement with regards to realism, with a cheeky grin when I asked the question! I also voiced my dismay at the death of a particular character and at how people just couldn’t believe he did it. 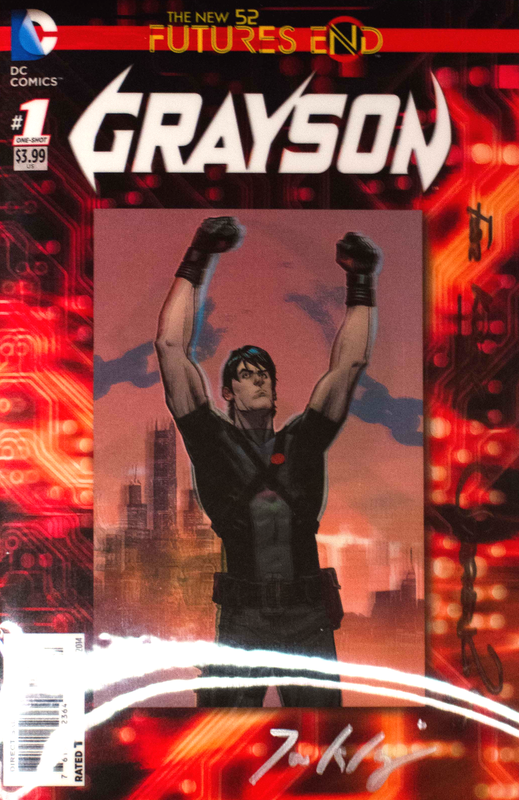 Jason stated that he had to make certain readers knew he was dead with the desperately tragic events of the next issue. There is certainly more to come from this book. Interestingly Kyle (@JohnnyTimpulse) had heard Aaron was a fan of professional wrestling, so the three of us had a fifteen-minute conversation about that very topic! and how it would impact his book. He did not. It was thrown upon him and his initial eighteen or so issue plan had to be condensed. I could sense his irritation and I tried to alleviate it but saying that the story still completed in a coherent way. The crux of the book was always the relationship between Wolverine and Quentin Quire and though it may not have been as planned, it reached a natural conclusion. I decided to not agitate him further with my incessant questioning, but to be fair I was really happy with my little Tubb sketch. Now the trick to avoiding long queues is to be opportunistic and to speak to the volunteers who organise them. Once again @fractures performed a fine reconnaissance mission as Snyder’s line was capped off as he was not even at his table. As soon as he would return the cap would be lifted as we could join. So we just casually hung around the vicinity and jumped in as soon as Snyder returned! 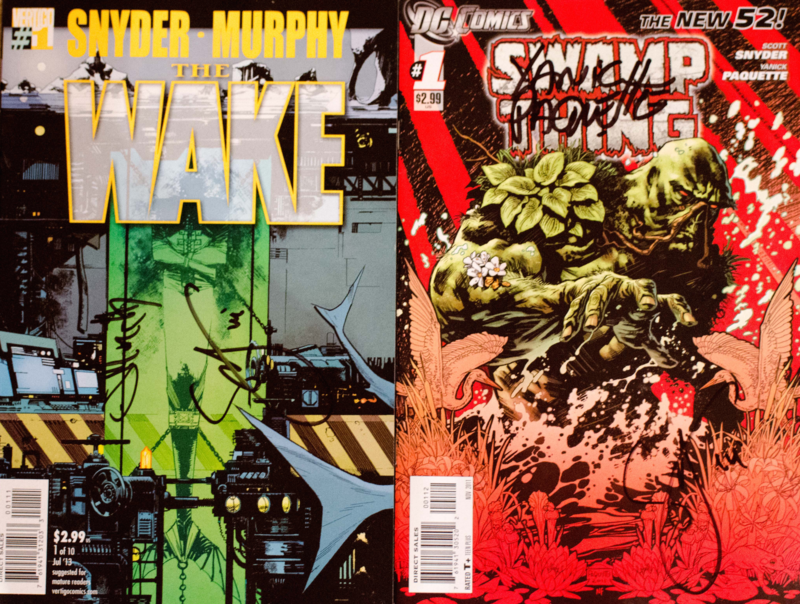 He had a ten item limit and so I have to choose carefully, including three trades of The Wake, Swamp Thing and of course, Batman. I asked him if he was enjoying his con because he seemed to be spending most of his time with his signature. He said he was quite happy chatting to people and it was a refreshing experience going to cons, because he lives in a relatively remote town in the US. The bulk of the conversation was around Batman and his input. As Scott is seemingly in charge of the Bat universe, despite it all occurring in different time periods, he has a very good rapport with the other creators. He described them all as genuine friends and his relationship with Capullo was key to its success. They both had to fight in unison against the editors to avoid changes to the end of Court of Owls. I always find the balance between editorial and creators fascinating. I actually described Batman and Robin as an equally good book in the Batverse that is underrated, and was quite glad he was in agreement. The idea of Zero Year was also something we discussed in detail especially considering he wanted to be distinct from Year One, which he considers to be the best origin Batman book. Both he and Capullo wanted to approach it in a post apocalyptic desolation perspective, which would serve their intentions suitably. We discussed how essential FCO was to the feel of the book and how the daylight made it look so unique. 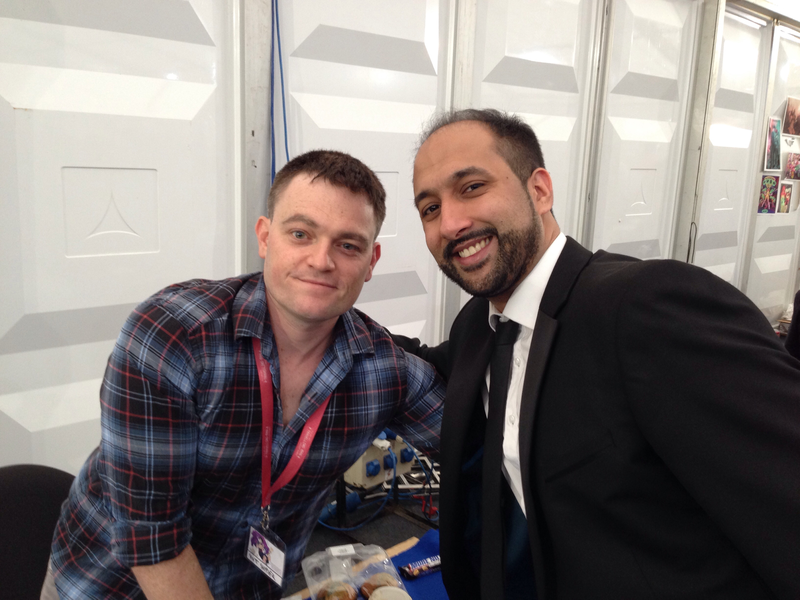 Scott Snyder was a very pleasant gentleman and really engaging in conversation. He even let Fractures take three photos with him, as I continually failed to hit the photo button on his iPhone correctly. I had a good photo though! I described these four creators and the saviours of DC and the people who will bring the company from out of the dark. However the underlying story is one of sheer hard work and determination. Babs Tarr was very sweet and appeared a little overwhelmed and delighted at her newfound success and popularity. 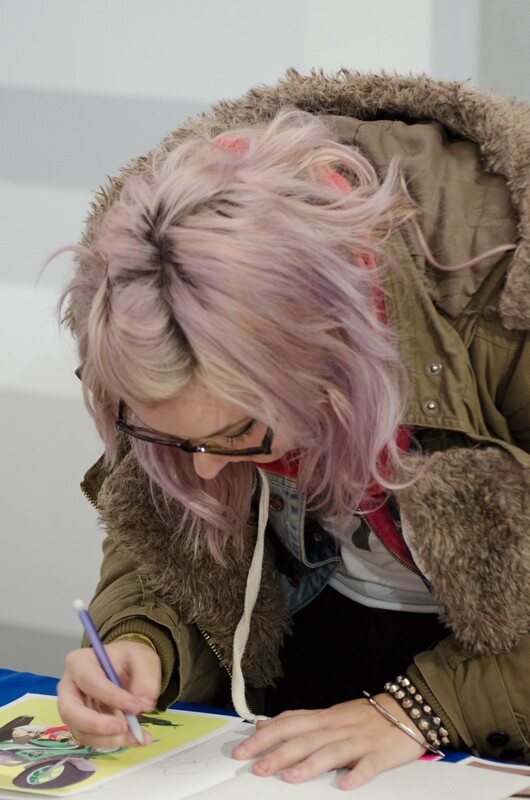 She rejoiced at meeting younger fans that were inspired to draw. 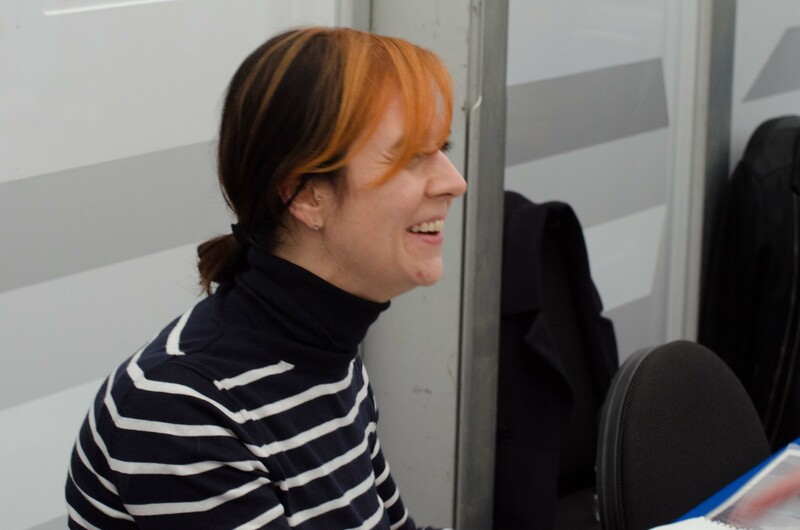 Becky Cloonan was the first to tell me how it all began, how Mark Doyle took over editing the Batman titles for DC and invited her to join. She was unable to take on a complete new project as a writer and so invited Brenden Fletcher along for the ride. 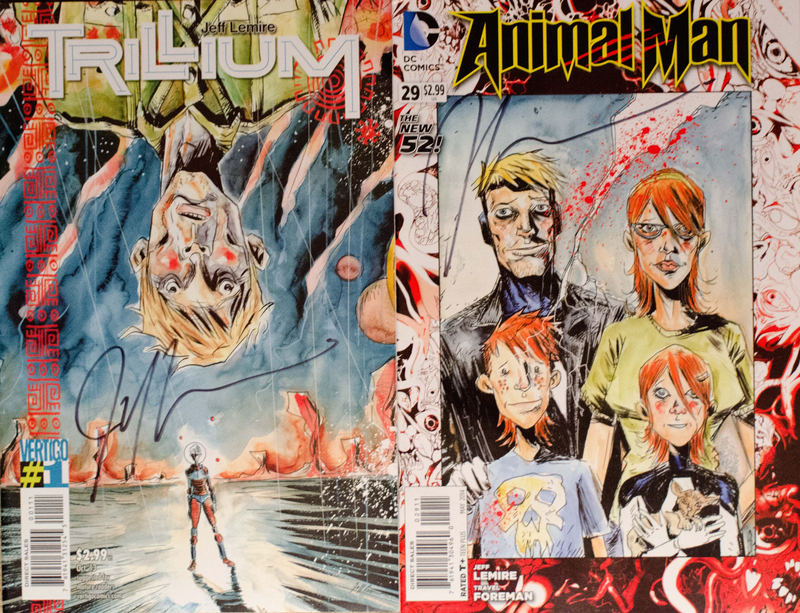 She was very pleased at the acclaim Gotham Academy had received and is very excited about the oncoming issues. It wasn’t until I met Brenden that I realised how difficult the journey had been. He was quite emotional and a little dazed as I spoke to him. As Doyle has agreed to take on the new Batman role, he had asked the DC bosses to allow him some leeway to bring in some newer titles that were different to those already in the mix. They seemed quite happy to do so but took little interest in them. 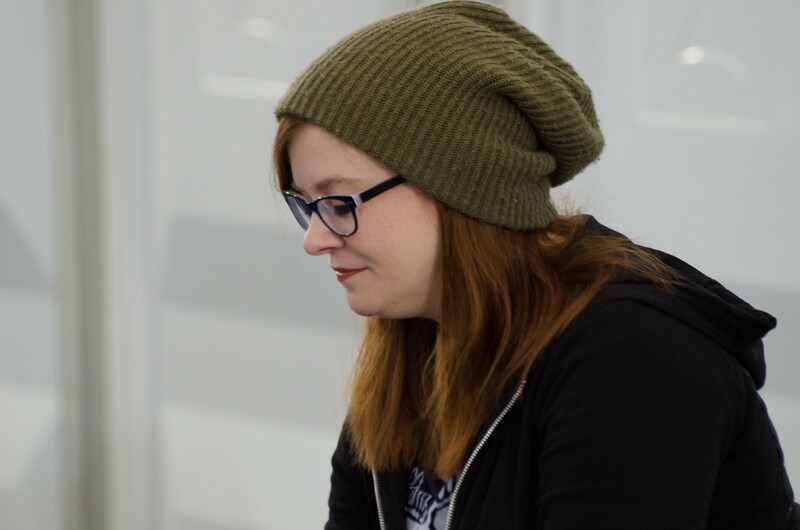 As Becky, Cameron and Brenden pitched their ideas, which were the books that are currently in publication, the company on the whole had no intention of funding any promotional resources. The four of them were solely responsible for all of the previews and character profiles and social media hype that followed. If you look back then you can see how impressive this achievement was given the buzz they managed to create. When the books sold well the company took notice and are now completely on board. I was so shocked to hear about how hard it was to usher in this new era of DC. As Fletcher and I talked about Gotham Academy, he noted how the central character has a darker past and her own personal issues. The book may seem to be there for a younger generation but the dark and gritty side of DC is still present but in a more balanced way. He was so immensely proud of their achievements and I expressed my gratitude in bring some much needed light to a company that has long become a shadow of its former self. 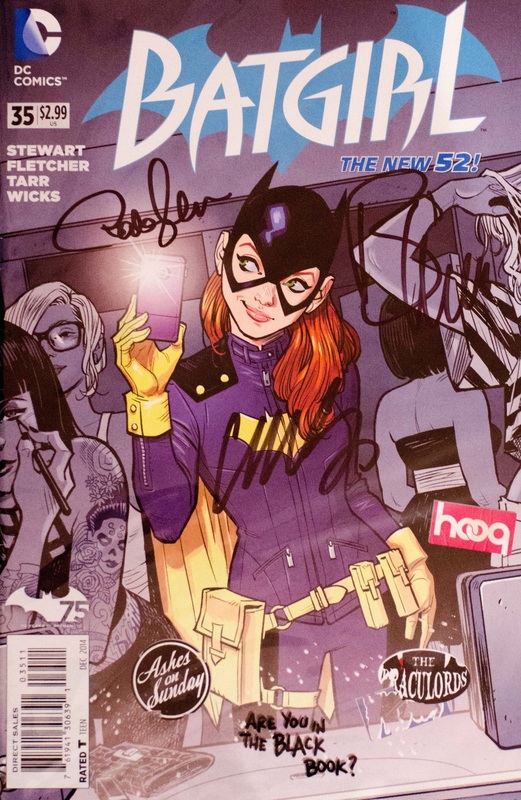 Cameron Stewart pointed at a young girl who was queuing to meet Babs and said how happy he was to see someone of that generation reading their comics. It is amazing how these four individuals have built something out of nothing, in a company that doesn’t see their worth under the vision of an innovative Batman editor. I thanked her and commented that the year long wait and disappointment of last year was completely worth it. She smiled and said thank you, shyly. 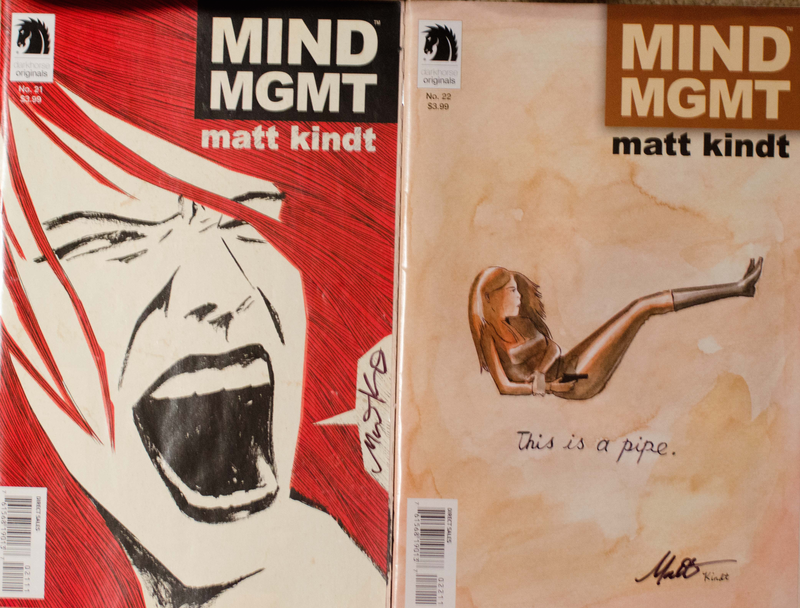 I still wanted to talk to Kev and ask him to sign my books so I waited until late on the Sunday to see him. 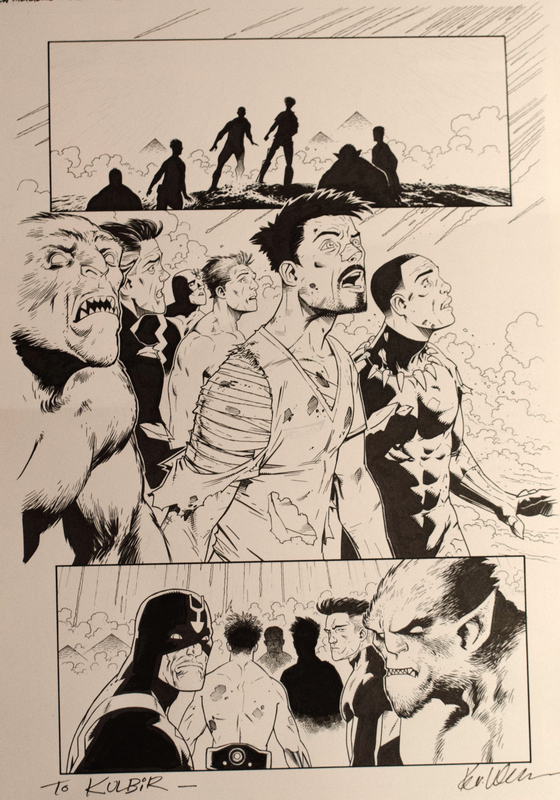 Whilst in the line, I managed to convince a young lady to purchase another original page, and was quite surprised at her love of Stephen Strange. She eventually purchased one where Strange asks Wong if he is a good man, and his servant simply replies no. 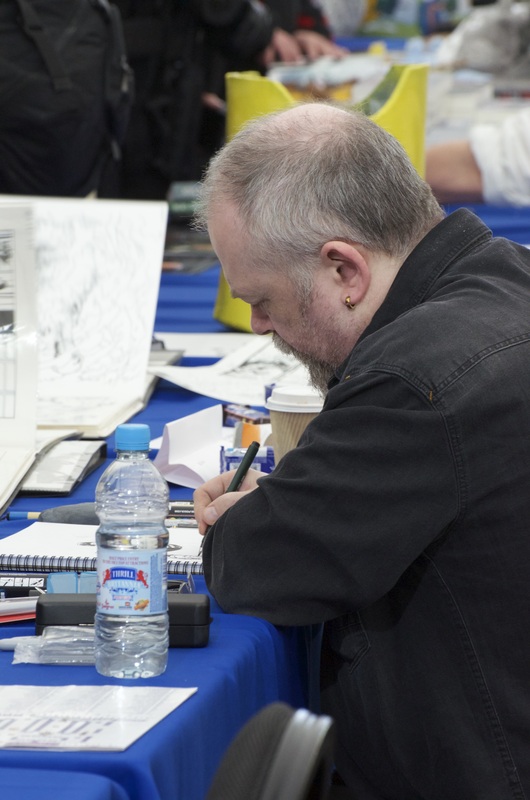 During this time I managed to ask Walker why he was selling his work so cheaply. He said he only goes to one convention a year and his original pages were essentially piling up. He also mentioned that he is managing quite well financially and has a lot of work and sees little point in overpricing. Apparently he has numerous folders worth of pages just lying around to sell, especially considering the number he produced for the Arena and Undercover titles. I also asked about him jumping ship to New Avengers and how difficult it was to leave Undercover before it had finished. 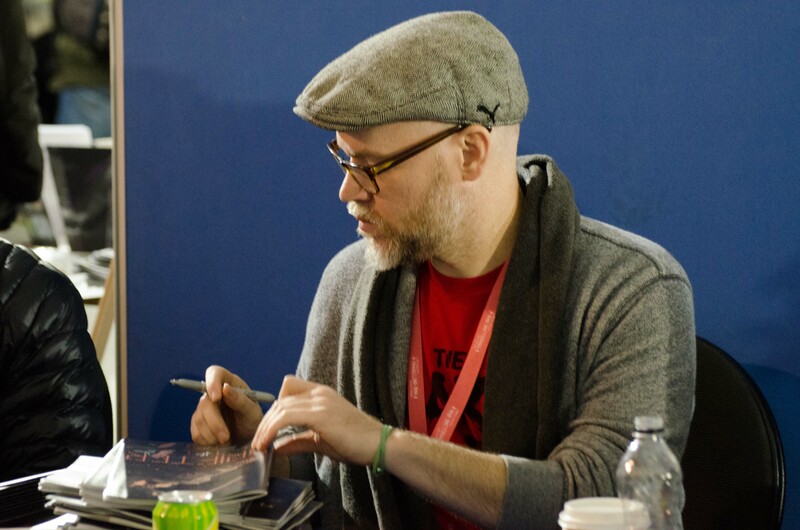 Unfortunately it is so unpredictable working in comics that Kev did not know what his next book would be after Undercover, and so when the offer for Avengers came he had little choice but to accept it. There is a degree of integrity in these decisions but ultimately it is a matter of making ones living, and Hopeless understood that. Kev was quite sad but is incredibly pleased at the popularity he has gained of late. 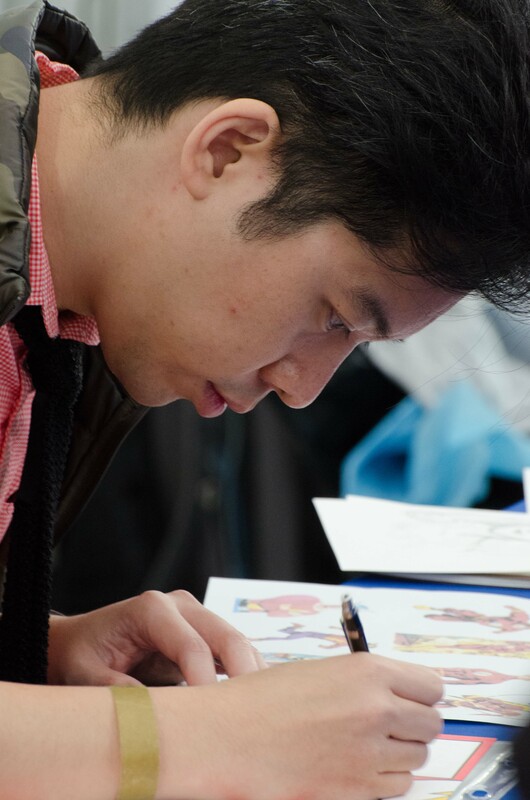 He has enjoyed the challenge of working with new superheroes and learning how to draw them. I am sure to see him again in the future but need to make sure I don’t become obsessed with buying original pieces of artwork. I had thought of the idea when I bought the page. I love Meru and especially Duncan and wanted to see them together. Given that Duncan wants the unpredictable I thought it would be great to see him shocked as he realises he couldn’t kill Meru with his finger. The smile on her face and dropped cigarette from hers is such an amazing touch. The whole page could’ve easily have been lifted from the comic itself, which is one of the reasons why I love it so much. 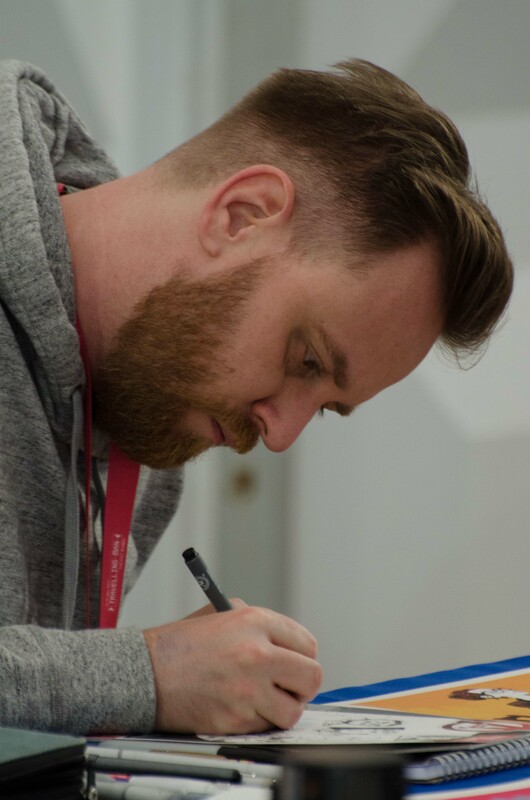 To think that my favourite time with a creator happened so early on, it certainly lifted the pressure of achieving anything else for the weekend. In all genuineness I have to say that my convention experiences have just become more and more amazing. 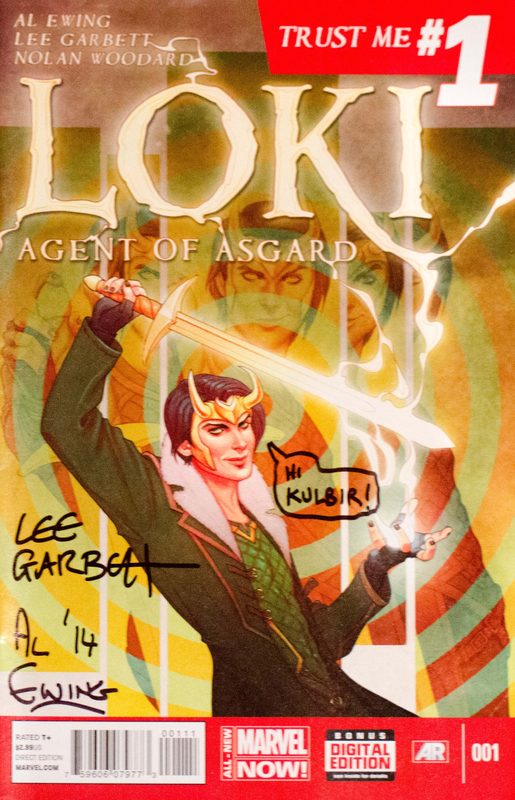 It is interesting to me at how obsessive we can all be in obtaining signatures and art commissions. At some point there has to be a boundary, a time where enough is enough. You may have reached a financial limit or you are just not spending enough time appreciating what you already have. I can in all honesty say that I have enough works of art to last me a lifetime because I will never stop appreciating the commissions from this conventions. 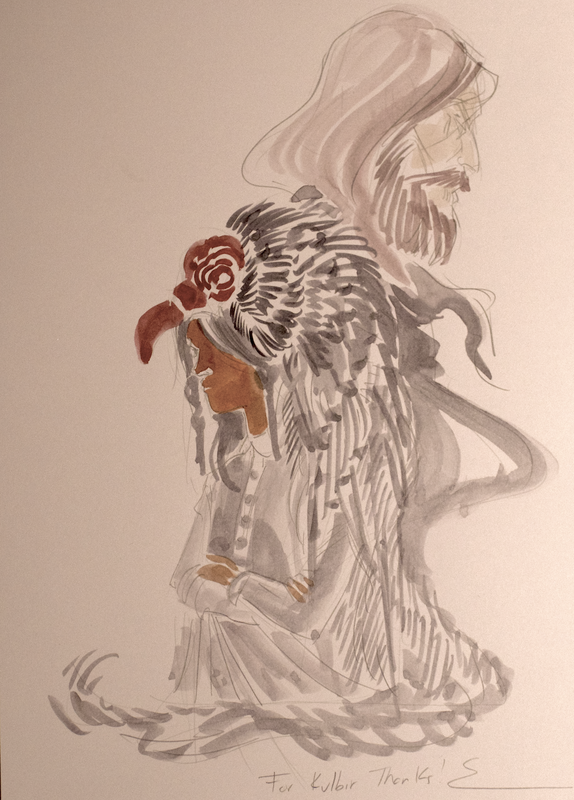 There is a fine balance between time waiting, money spent and the interactions between yourself and the creators. You will ultimately decide what is important for you. For me it is definitely the joy of meeting friends and creators, and that will never end. I ask a lot of questions and ones that I think might challenge or prove eventful. There is little doubt that talking to Brenden Fletcher was a complete surprise, especially with what he told me. They clearly had had a rough time and now were enjoying the fruits of their labours. Even watching Emma and Kev produce their work and sell it for an amount we think is massively under-priced just goes to show that the value is purely subjective. They are doing what they enjoy and there is value in that for them, just as they cannot take the joy we feel at reading their comics. So I say this: Go find the people you love and tell them so, you will rarely end up disappointed that you did and most of the time, your adoration will only grow stronger. 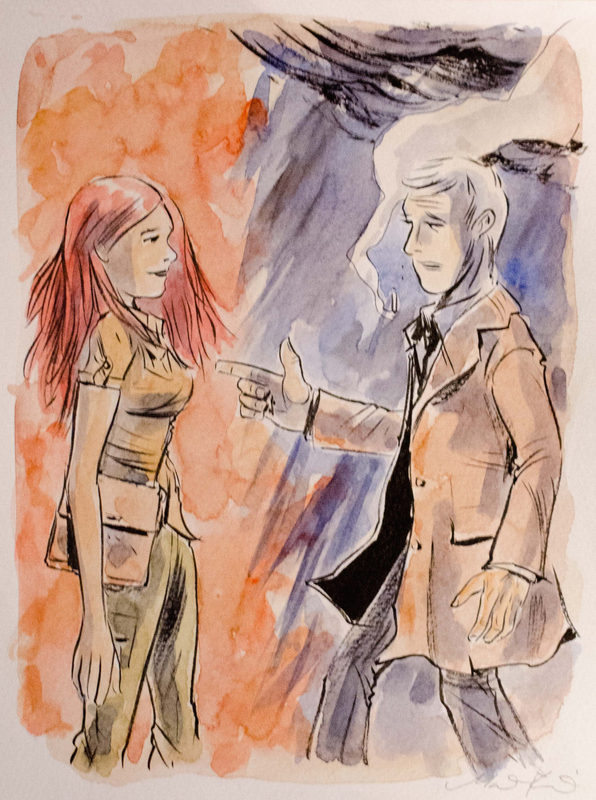 Fortunately comics are a strange kind of art form where there is such a large forum for interaction, one that can really enhance the passion we feel. Fortunately we are blessed to have a place where we can meet so many different characters producing the most amazing art in a genre so diverse. Fortunately we are all very privileged to have a convention such as Leed’s Thought Bubble. I would love to meet declan sometime! 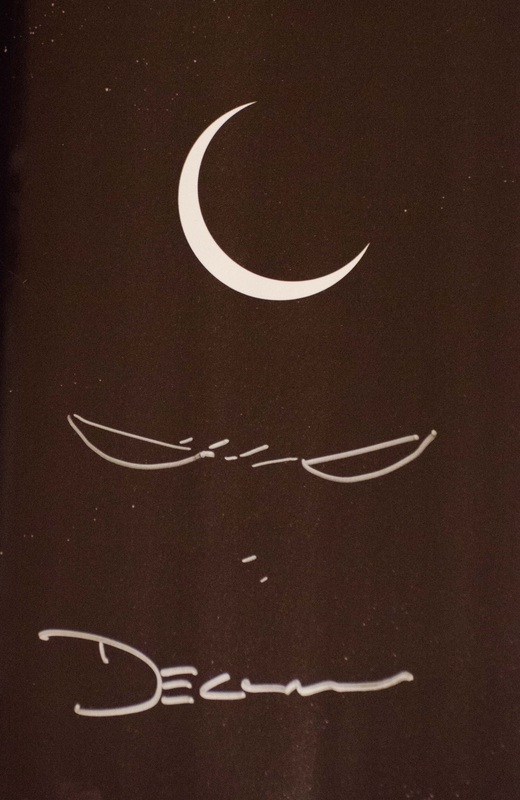 I loved Moon Knight (I even wrote a review of the work he did with Ellis). The art on that was so fantastic. 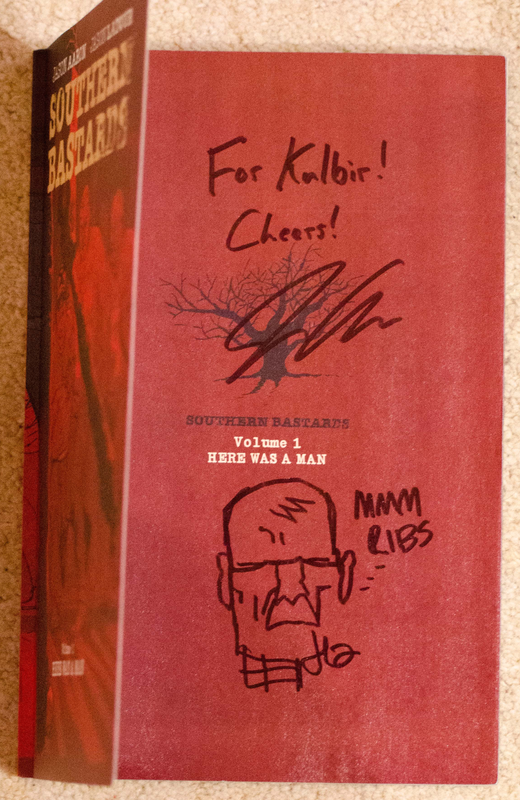 Jason Latour and Jason Aaron are quickly becoming my favorites (Southern Bastards is really good). Great review of the con! Also my dad is from the south and we go down to visit family every now and again and I can affirm that Southern Bastards is pretty realistic. Now that puts the fear of God into me! 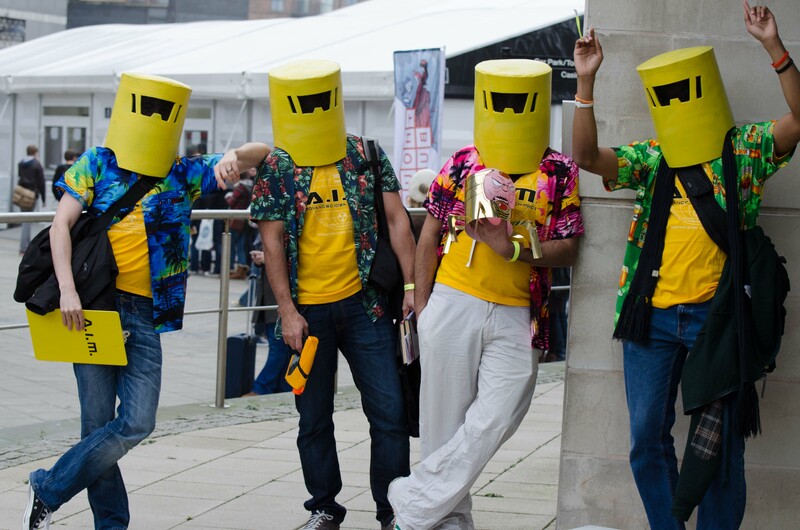 Thanks for the compliments, Leeds TB was brilliant this year! 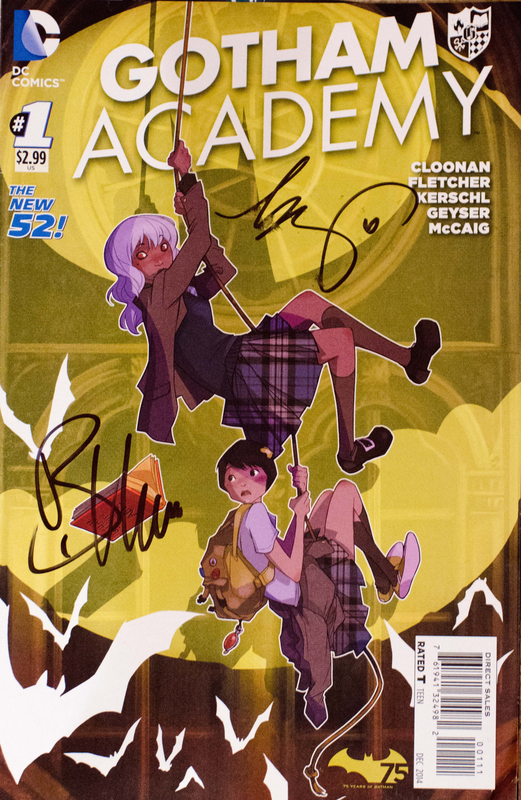 I am also super jealous that you got Gotham Academy signed.